Having a dashboard light illuminate can startle you if you are not sure what it means. If a light comes on, schedule an appointment so we can inspect the vehicle for you. A light that is blinking is an immediate cause for concern. Make sure to pull over when it is safe to do so, and turn off your vehicle. If the light turns on, you will not want to ignore it, as this can cause more damage and issues in the long run. If you see the temperature warning light com on, it can indicate that the vehicle is overheating. If this happens, it is best to pull over and let your vehicle cool down. When a vehicle overheats and nothing is done, damage can occur to the engine. If you see the light blink it is an immediate warning that the car should be turned off until it has a chance to cool down. A vehicle that overheats often may mean that a sensor or another component is bad. Make sure to bring the vehicle in so we can inspect it for you. If the sensor is bad, it will give a false reading for if the vehicle is overheating or not. Also look for any steam or smoke you might see coming out of the hood of the car. The brake warning light is another one that could illuminate. This can indicate that the handbrake is on. It may also mean that the brake fluid is low. You will want to check the brake fluid to ensure it is at the proper amount and ideal condition. If the fluid is at the correct level, and the light is still on, make sure to call for an appointment. We will look at the brake system and the vehicle to determine what the light is on for. Never ignore the warning lights, because they do illuminate for a reason. Closeup detail of the wheel assembly on a modern automobile. The rim is removed showing the front rotor and caliper. The vehicle will need to be inspected on a regular basis. This helps to ensure everything is working correctly. Your car is an important part to ensure you get to and from your destination, school, or work, so you will want to make sure you keep it maintained properly. If you do not know when the vehicle should be looked at, make sure to contact us. We will tell you what the schedule should be for your vehicle based on the make, model, and how often you drive. Always be aware of any odd noises that you might hear from the vehicle. This should include grinding, squealing, or anything else out of the norm. The noises can indicate that the parts are starting to wear out. When these are ignored, then further damage can happen to your vehicle. 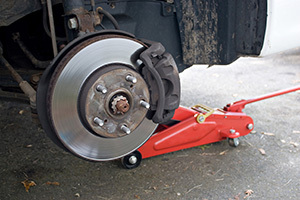 The brake pads and brake rotors will need to be inspected regularly. This will help to determine when new pads or rotors will be needed. The brake fluid will also need to be inspected, to ensure it helps the brakes to work. If you notice a leak, bring the vehicle in as soon as possible so we can fix it. You may also notice issues by the brake pedal. The pedal that is too soft or hard to apply can be an issue. This is because the brakes have worn and no long work as they should be. Another sign you might notice is if the brake pedal vibrates when you apply it. This can cause the brakes not to grab and stop the vehicle as they should. If you notice any issue with how your vehicle handles, schedule an appointment. 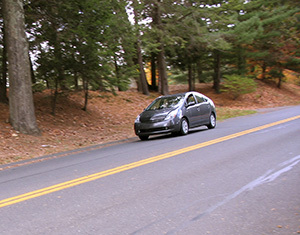 When you apply the brakes, the vehicle may swerve to one side or the other. You will want to bring the vehicle in so we can inspect the full brake system for you. A modern hybrid vehicle driving down the road on a nice autumn day. The change of weather and temperatures means that you should bring your vehicle in for an inspection. We will inspect the parts and components of your vehicle to help ensure they are efficient. If there is an issue that you might notice when you drive, make sure to contact us. 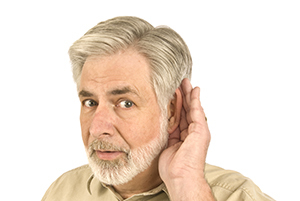 Any odd noises or sounds that are present can indicate an issue that will need to be resolved as soon as possible. If the problem is not fixed, then the issue can become worse and lead to a costly repair bill. You can contact us and we can recommend when the vehicle should be brought in for regular maintenance inspections. Having regular oil changes will help to increase the efficiency and performance of the engine of your vehicle. The oil also lubricates more than just the engine of your vehicle. Any moving part will need the proper lubrication so it moves without causing wear and tear to other parts it connects to. There might be a sign of an issue if you start to hear odd noises or grinding sounds with the vehicle as well when it operates. These sounds can come from under the hood. It will always be recommended that the issue be inspected as soon as possible. Fall is also a good time to have the tires checked as well. They should be in the best condition, so having us inspect them can help to ensure this as well. We can check the air pressure and the tread wear for each of the tires. If a tire gets low on air often, we can do a further inspection of why this could be the case. 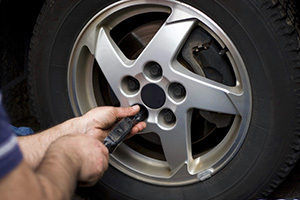 Having the tire patched or replaced will save you a lot of trouble and headaches in the upcoming months. We can also look to make sure the tires are wearing evenly. They should be properly aligned with one another. Winter weather will mean that you need to adjust your driving techniques and habits. This will depend a lot on the weather condition, and the road condition. Roads in the winter may become slick. They can be covered in snow, ice, rain, sleet, and any other form of precipitation. 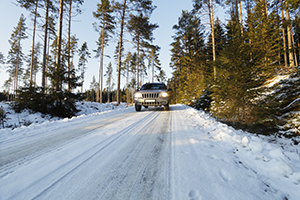 Making sure your vehicle is reliable and safe to drive should be a top priority heading into the winter snowy months. Make sure to bring the vehicle in for regular maintenance inspections, so we can check it for you. This will help to ensure the parts and components are working correctly for your vehicle. 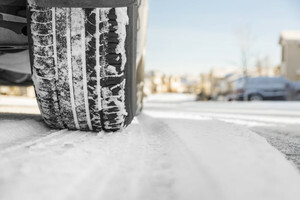 The tires are a vital part of driving on winter roads this winter. The air pressure should be at the amount indicated by your vehicle. This can be found in the owner’s manual, or on the inside door jamb of your driver’s door. Make sure the tires are always filled to this correct amount. Tires that are under or over inflated can lead to issues. They can pick up sharp objects on the road, or blow out. You will also notice poor fuel mileage, because the tires will pull the vehicle in one direction or the other. Also remember to check the tread wear. The better the tread, the better control you have of your vehicle on the road. If there is low tread, you may notice your vehicle sliding or loss of control. Also make sure the windshield wipers are in the best condition. If you have any doubt, it is always best to stay safe, and replace them. They will need to work hard at removing ice and snow this winter. You will need them to rely on the best visibility possible when you drive. They will clear away any precipitation, as well as road grime and slush. Close-up detail of a mechanic tightening or loosening the lugs of an aluminum rim. The vehicle you own should always be properly maintained. By following the vehicle owner’s manual, you will know when to bring your vehicle in, so it can be inspected. A full bumper to bumper inspection will help ensure the parts and components are working efficiently. If there is an issue, we can fix and resolve it, before the issue becomes a larger problem. Ignoring an issue can also lead to a more expensive repair bill that could have been prevented. We would also be glad to recommend a proper maintenance schedule for your vehicle. Things like tire rotations, oil changes, and fluid flushes are all important. You should also be aware of any issues between visits as well. This can include any odd noises that you might hear. A grinding noise can happen for numerous reasons. This can mean that parts are wearing against one another, and wearing incorrectly. When everything is operating effectively, the parts and gears fit just right. If they are wearing out, grinding or odd noises may occur from it. If the noise happens on a regular basis, make sure to contact us and bring the vehicle in so we can inspect it for you. Doing so will help improve the efficiency and longevity of the vehicle you own. You may also notice a high pitch noise from time to time. Sometimes this could be the engine or transmission. As the transmission shifts gears, it may make a high pitch noise when it starts to go out. You will want to make sure the fluid levels are at the proper amount and are in good condition. We can also do this for you as well. If the fluid is old, a fluid flush may benefit the situation and your vehicle. Any noise that gets worse should always be taken seriously. Contact us to schedule an appointment. This way the issue can be resolved as soon as possible. The tires are an important part of your vehicle. They are the only part that makes direct contact to the surface of the road when you drive and travel. If you notice that your vehicle handles poorly, you will want to bring it in as soon as possible. This allows us to look at the vehicle for the issue. Also be aware for any odd noises or sounds that the vehicle makes, especially when you drive. 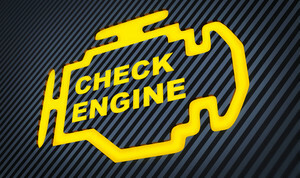 Depending what you are doing, can determine what the issue might be with the vehicle as well. Do not ignore the problem because it will not go away on its own. This will only get worse, and result in further damage and repair bills as well. Each tire should be inspected to ensure it is in the best condition. They will be inspected to make sure that the air pressure is at the correct amount and that they are properly inflated. A tire that loses air often, will have a greater chance of becoming permanently damaged in the long run as well. The tread wear can also be inspected to show that the tread is at the correct amount. When the tires have worn down, the tread will also be extremely low. Sometimes there will be uneven wear with the tread. By rotating the tires, you can help the tread to wear more evenly. The tires should also be inspected for their alignment. Proper alignment will help them to rotate and work with each other easily. This will also help to improve your fuel mileage as well. The tires should always be fully inspected for any damage. If they have worn down and are no longer at their best, consider purchasing new ones. This can help you to have better control of your vehicle and handle the road better as well.